smart_description 99.9% pure electrolytic copper coating. Molecular bond to nickel-sealed high strength steel core. Rods have a high carbon steel core and tip that provide superior strength when driving. Copper coating will not crack when bent or tear when driven. 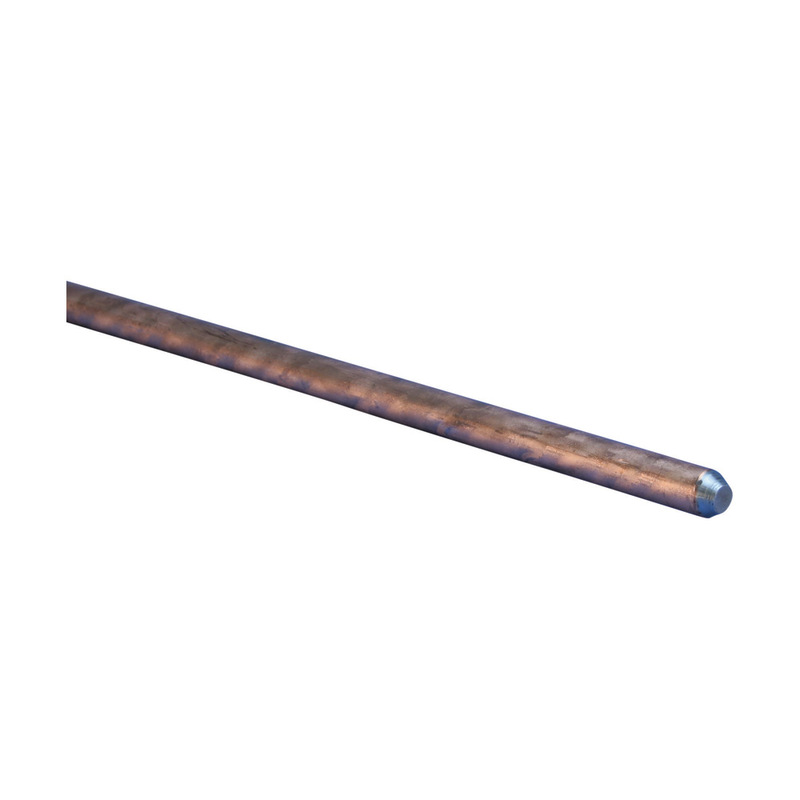 Minimum copper coating of 10 mils on rods listed to UL(R) 467. nVent ERICO name, length, diameter and part number is roll-stamped within 12" (304,8 mm) of chamfered end. UL logo and control number where applicable stamped on each rod for easy inspection after installation.